A Silent Voice the Movie was directed by Naoko Yamada and is based on the critically acclaimed manga by Yoshitoki Oima. Beautiful tearjerker with a universal, relatable message. A former high school bully seeking redemption for his cruelty against a deaf classmate is the subject of this moving animated feature. It's rare to have animated movies deal with topics like this, and it's to director Naoko Yamada's credit that the movie succeeds so well. The character development between the two leads is compelling, richly tragic, and emotional, and will no doubt wrench tears from the iciest of viewers. A SILENT VOICE is filled with genuine heart, offering a most relatable and universal message without being preachy. Clocking over two hours, the film is unabashedly lengthy, and yet it still keeps a good pace on its story. The dubbing by NYAV Post is outstanding as well, with excellent performances from everyone involved. Real-life deaf actress Lexi Cowden, in particular, provides a particularly tangible, heartbreaking turn as Shoko. This is a modern day classic that I recommend most highly, and without hesitation. 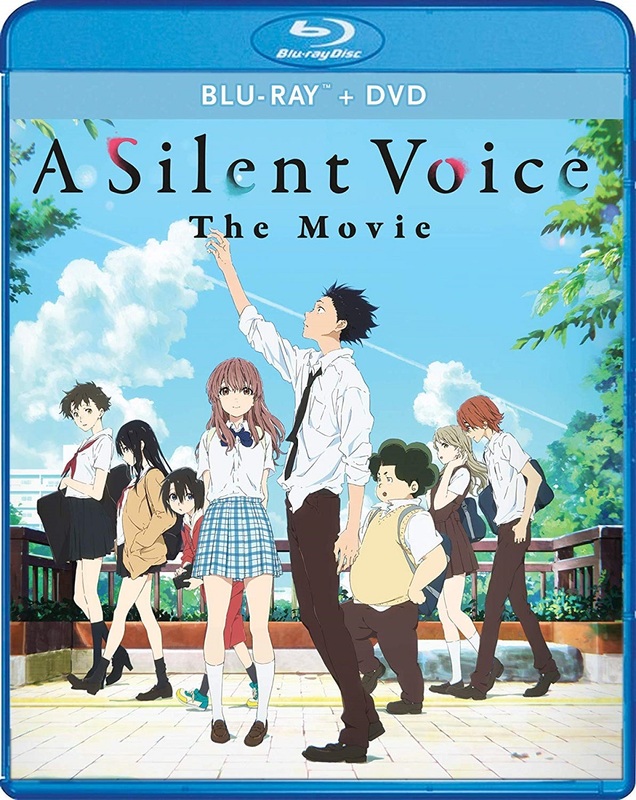 I recently saw A Silent Voice in theaters for the first time (English dubbed version) after hearing great things about it through the community. As mentioned above, it was quite the powerful experience; a story about bullying, guilt, making amends, friendship, and redemption. It certainly earned its place in my current Top 3 of anime movies I've seen. I haven't seen the subbed version, so I don't have that basis of comparison, but the dub was perfectly acceptable by modern standards and even great at times; the highlight being the casting of Ms. Lexi Cowden as the female lead, Shoko. Having an actually-deaf actress play the deaf Shoko brought a level of added depth that I don't often see in dubs, and Ms. Cowden did a fantastic job. I enjoyed the experience so much, as soon as I got home I logged onto RightStuf to pre-order the film. It is definitely worth the $22 price tag and is a worthy addition to any anime film collection. You'd have to have a heart of stone to not even be moved by this movie, and even more so to not even be impressed by the dub. In fact, I dare say it's actually better than the Japanese -- and yes, I stand by that. For one thing, actual kids are heard in the flashback scenes, and an actual deaf actress plays a deaf character. The end result, while not perfect, is still a very admirable effort all around. Yes, the Japanese version might be more authentic in some ways, but personally I think the dub gets an advantage here for authenticity. Either way, though, you can't go wrong with A SILENT VOICE. This is a really great movie that I highly recommend. This is the best animated film I have seen, right after I finished the film I rewatched it. I have an extensive list of animated films I bought from Shout Factory, GKids, Studio Ghibli, Funimation and others, some of the films I really did enjoy watching but this film feels like it belongs in its own category. The characters in the film are very realistic who learn the consequences of their selfish actions when they were kids. The dubbed voice for Shoko, is voiced by a deaf voice actress who nailed the part perfectly. Not many animated films lasts over 2 hours but it feels so short for this film. I watched this film with my 6 year old niece who really liked it. For anyone that likes the film I highly recommend reading the manga after, so much stuff what is going on in the film would be missed. “A Silent Voice” would be the top movie I would recommend for most people that like animated films.